Stuff, Things, etc. : Wednesday Stuff and Things. +While two 3-day weeks in a row with students are nice, it's confusing and I'm not getting much done. +I decided to forego the blog post yesterday and reply to comments I haven't gotten to yet. I also deleted a bunch of emails because sometimes you just need a clean inbox and going back to Labor Day to reply to comments is a lot to handle. Do you think I ever answered all the comments and/or emails? No. No, I did not. +Also, I didn't know what to post about and was drawing a complete blank. +I finally got a dress for the above-mentioned trip, which is for a wedding. It came in the mail yesterday. 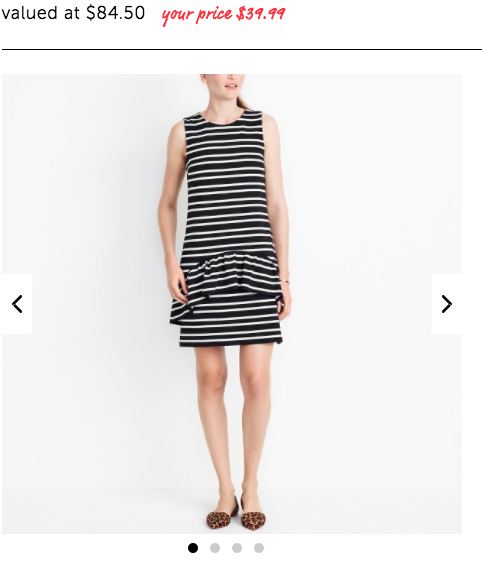 If it hadn't show up or hadn't fit (J.Crew Factory), I'd be running to Target after school today. They only have XL and XXL left but it was quite a bargain when I ordered it last week. I got what I got because it's supposed to be 70 degrees. And, sure, yeah, maybe I was just procrastinating so I could check the forecast. +I don't know how this vegetarian thing is going. I had chicken twice in the last two weeks and then I had chicken sausage the other night. I'm really on the fence about it all. I have been mostly eating junk because #stress and all so I'm not getting a good read on how I feel. +This is what the house looks like when we're (Scott is) working on a project. He also insists on turning on the overhead kitchen light for such tasks (the furnace is in the closet door to the left). I allow it because things get done when the overhead light is on. +I dropped my green spinach smoothie all over this floor yesterday. It slipped and exploded and covered the entryway in green. I was late for work because I was scrubbing green off the ceiling before it stained. 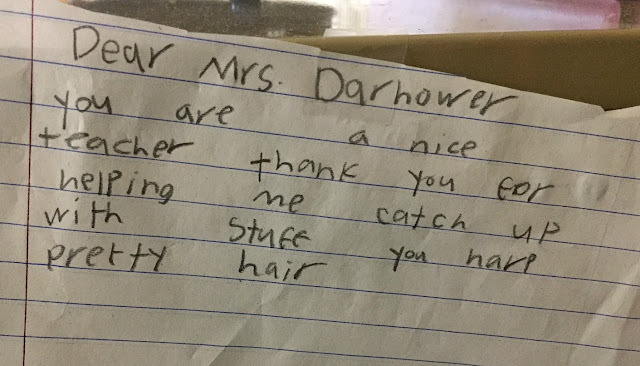 +Nice notes from kids are the best part of my day. Tomorrow are parent conferences at school. Your thoughts and prayers are more than welcome. I was a vegetarian for a long time and I ate a ton of junk because I didn't bother to learn how to cook and chips are easier. Oh man... there is nothing worse than something liquid slipping & crashing. you'll find green stuff on the strangest places. Splatters are legit crazy. Sending lots of good thoughts for the parent/teacher conferences! Good luck with all your logistics! And the parent conference. I hope the parents are as nice as that child! Children's compliments are the best. So straightforward! My house is always a grade-A disaster. We never seem to get any projects completely finished.